The euro inspired Merkur XR4ti was similar to the SVO Mustang in size and purpose. Both cars shared the 2.3 turbo 4 cylinder Lima engine which was a capable performer in its day. However, today's feature track car ditched it's 2.3 engine for a 4.6 supercharged V8 from a 2003 Mustang Terminator which was the Hellcat of it's day at 390hp. Seeing that going fast and having a competitive car costs real money, buying a proven car that needs a bit of TLC could potentially save the buyer a lot of coin. 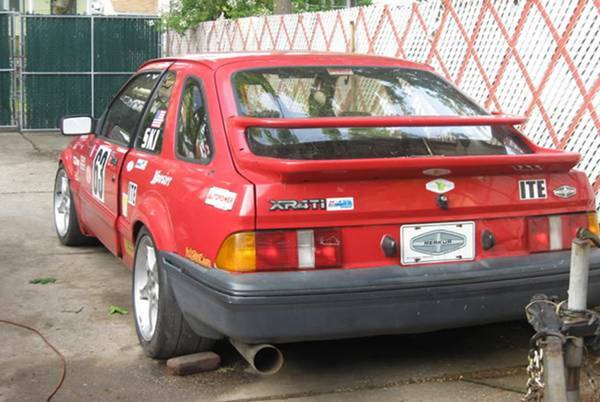 Find this 1985 Merkur XR4ti for sale in Newtown, CT for $9,000 via craigslist. The good news--1985 Merkur XR4ti- Raced in the SCCA, ITE Class for 10 years at Lime Rock, Watkins Glen, and New Jersey Motorsports Park. Consistent mid-pack runner with 2 wins at NJMP. 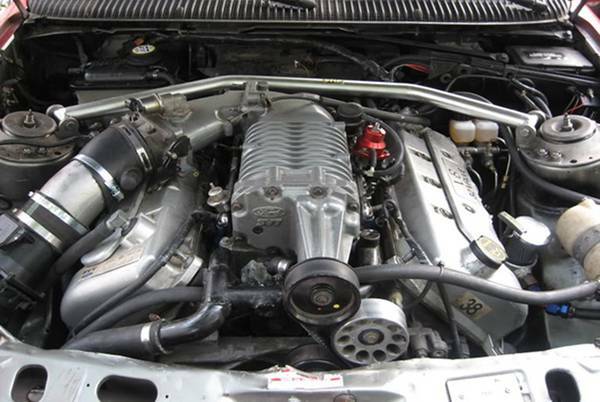 Bone stock, Supercharged 2003 Mustang Cobra (Terminator) Engine, transmission and computer. Wilwood brakes, Koni shocks. Logbook, extra rims and tires for both car and trailer. The bad news--The car hasn't run in 5 years, and has a blown BMW rear end. The trailer needs brakes and a new winch. Cover photo is from Lime Rock. Being sold as the whole package only, car and trailer. $9000.00 or best offer. The interesting part here is the seller is selling the car and trailer. Assuming you did not need a trailer, it could be sold to recoup some money and net down the purchase price. 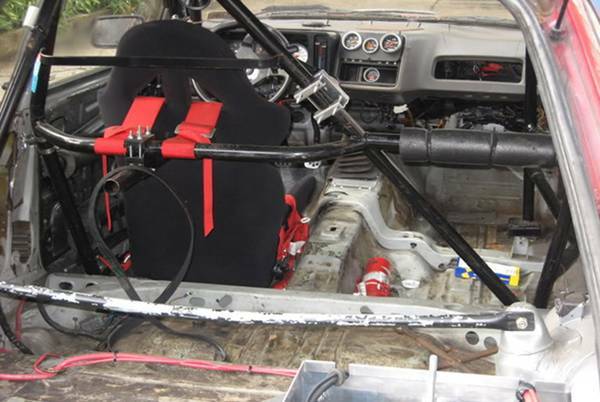 The blown BMW rear end can't be all that tough to source second hand. You would have to check the class rule book, but there is likely a lot of potential power to be had from tuning the Mustang engine. Blown engine good , blown diff bad. Looks like just oodles of "there is no money like previous owners money" fun, but I got to ask how much heavier is this engine compared to the turbo pinto that used to live there? According to a chart I found 450 for the turbo four, and 521 for the v8. Gee, that's not a lot of difference. Where did you find this chart? I often find myself wondering how much various engines weigh.